» Sports » Juventus 3,Barcelona O: Is This The End Of The Road For Barcelona? Juventus 3,Barcelona O: Is This The End Of The Road For Barcelona? 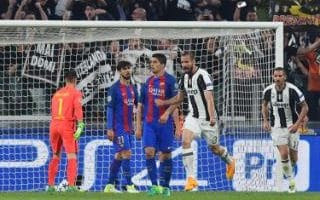 Title : Juventus 3,Barcelona O: Is This The End Of The Road For Barcelona? 0 Response to "Juventus 3,Barcelona O: Is This The End Of The Road For Barcelona?"